Johnnie (John) Legier Yates, 81, of Carmi, Illinois (formerly of Waynetown), passed away on March 26, 2019, at Wabash Christian Village. 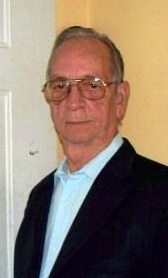 He was born on April 18, 1938, in Carmi, to Homer Elvis and Mary Helen (Cozart) Yates. He was married to Verla Taylor (Snelling) and they raised four children. He spent the last years of his life with his companion, Norma Douthitt, until her passing. John worked in construction as a Boilermaker, and for R.R. Donnelley & Sons printing company where he spent several years in the Art Department. He enjoyed oil painting, building computers, landscaping, and listening to all types of music. He was a lover of animals, especially his beloved dog, Jojo. He was a U. S. Navy veteran. He is survived by his children, daughters, Tammy Anders, Easly, SC ; Tina Payne, Lafayette, IN; Tracy Haslam (Jim) Darlington, IN; and son, Johnnie (Jay) Legier Yates II (Debbie), Monroe, GA; 10 grandchildren and 15 great-grandchildren; sisters, Erma Winkleman (Donnie), Jessie Skates, Sondra Gresham; and brother, Roger Yates (Sue). He was preceded in death by his parents; brothers, Antonio (Tony) Yates; Homer (Buddy) Yates; and sisters, Doris Yates, and Betty Jean Yates Ellison; great-granddaughter, Madisyn Gilstrap; daughter-in-law, Jennifer Yates; and sons-in-law, Steve Payne, and Craig Mitchem. Visitation will be held from 11 a.m. until 1 p.m. on Saturday, March 30, 2019, at Stendeback Family Funeral Home in Carmi, Illinois. Military Rites will be conducted at 1 p.m. by Carmi American Legion and VFW posts. Online condolences may be left at stendebackfamilyfuneralhome.com.